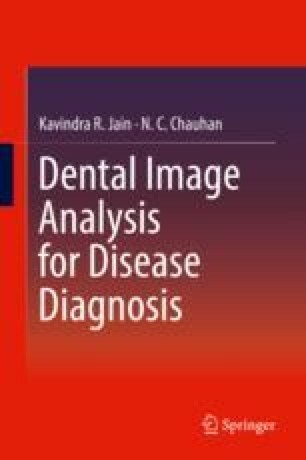 Through the computational analysis of various dental radiographs the aim of this research work is to develop an add-on approach to help medical practitioners in the pre-diagnosis treatment of various dental diseases. This thesis investigated and demonstrated the use of four categories of methods while performing image analysis of dental radiographs. The study began with the state-of-the-art review of the work done so far in the domain of image analysis, medical image analysis and then focused on dental image processing. The domain study also concentrated on acquiring knowledge of stomatology dentistry, and dental diseases and their diagnostic methods.